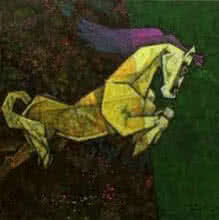 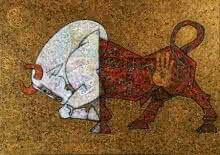 Painter Dinkar Jadhav has established himself as an artist who dares to walk on path less trodden. 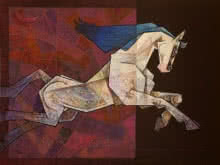 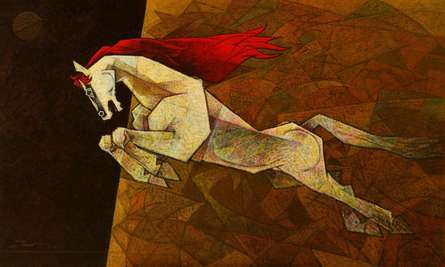 His journey to these challenging places of creative excellence began with the ASHWA CHITRAMALA (the horse series!) 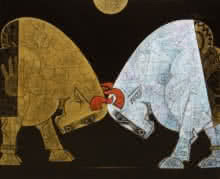 few years back, which met with success and admiration equally!